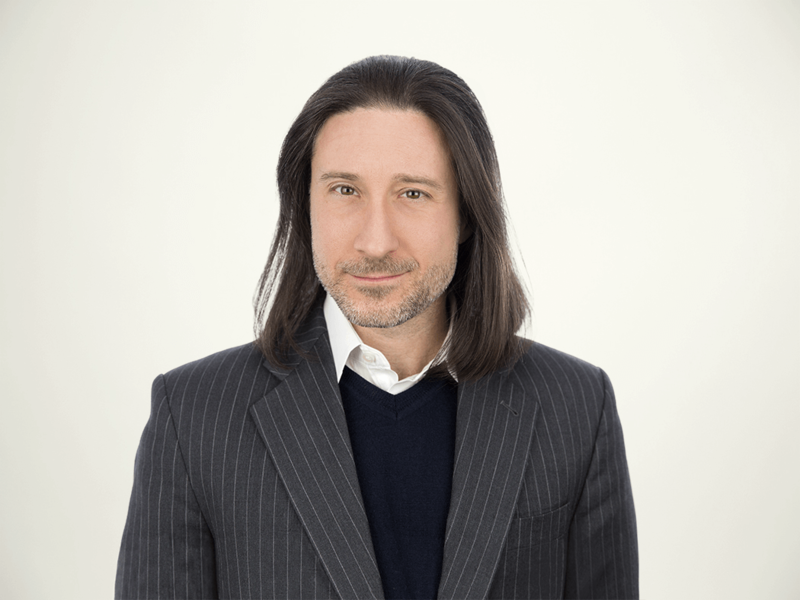 Forrester’s 2018 Customer Experience Index (CX Index) for US brands reveals a worsening CX leadership gap: Not a single brand has risen to the top of our rankings and continued to move upward, and the overall quality of US customer experience is stagnating. 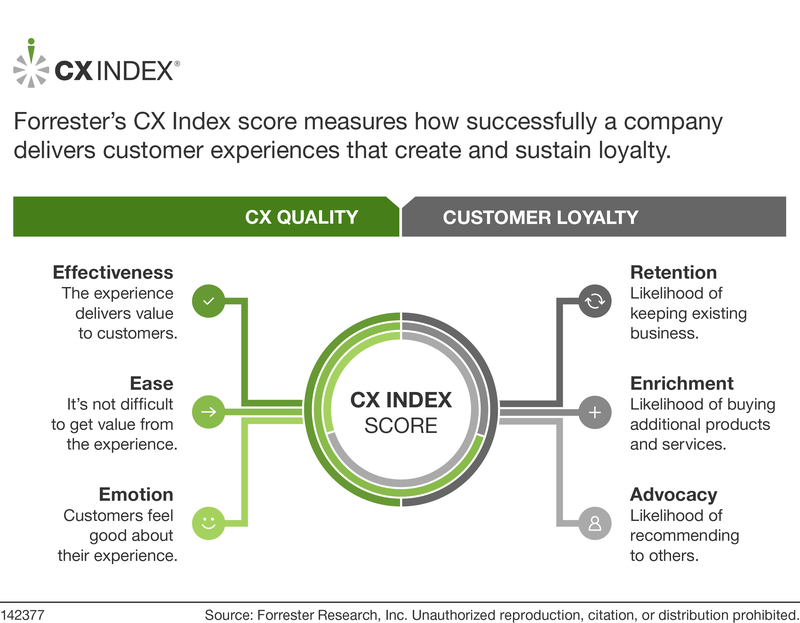 The report is based on Forrester’s CX Index™ methodology, which measures how well a brand’s CX strengthens the loyalty of its customers. In this year’s report, we reveal the complete rankings of all 287 brands across 19 industries, based on a survey of 118,922 US adult customers. Gains and losses at the brand level were a wash. About the same number of brands rose as fell: Of 287 brands in the CX Index, 37 had statistically significant score increases and 40 had statistically significant score decreases. What’s more, brands that rose gained an average of just over 4 points on our 100-point scale, while brands that fell lost an average of just under 4 points. Twelve brands gained 5 or more points, and nine brands lost 5 or more points. The number of good and poor scores dipped, while the number of OK scores rose. The percentage of brands in the good category diminished by 1 percentage point, as the quality of some brands’ CX fell. Similarly, the number of brands at the poor level shrank by 2 percentage points as the quality of their CX rose. As a result, the percentage of brands in the good category swelled by 3 percentage points. Elite brands’ scores remained static. Forrester refers to the top 5% of brands across all industries in the CX Index as the “elite brands.” Of the 15 elite brands that were in the CX Index last year, 12 showed no statistically significant score change. Most industry frontrunners were repeats; all were stagnant. Thirteen out of 19 industry frontrunners were repeats from 2017. The new frontrunners in the other six industries earned their spots thanks only to statistically insignificant score changes that put them on top, significant point drops by last year’s top brands and, in one case, a CX Index debut that slightly outscored the competition. Languishers: brands that rose high and then stalled. These relatively high-scoring brands have remained stuck, without a statistically significant score change, for at least two years. 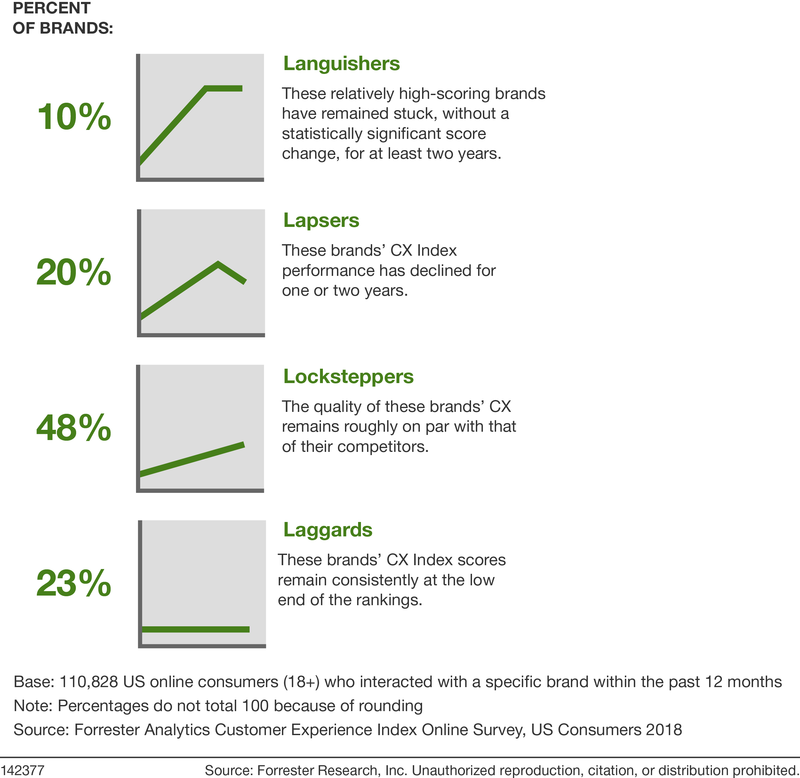 Overall, 10% of brands in the entire US CX Index are languishers. Lapsers: brands that rose and then fell back. Lapsers’ CX Index performance has declined for one or two years. Across the entire US CX Index, 20% of brands are lapsers. Locksteppers: brands that move up and down with the pack. Even when these brands improve, they fail to differentiate themselves because the quality of their CX remains roughly on par with that of their competitors. A full 48% of CX Index brands are locksteppers. Laggards: brands that have stayed at or near the bottom. Although some laggards have improved the quality of their CX, their scores remain consistently at the low end of the rankings. Overall, 23% of CX Index brands are laggards. Brands that want to break away from the pack should focus on emotion, as how an experience makes customers feel has a bigger influence on their loyalty to a brand than effectiveness or ease in every industry. Brand performance in the 2018 US CX Index reflects this: Elite brands provided an average of 22 emotionally positive experiences for each negative experience, while the lowest-performing 5% of brands provided only two emotionally positive experiences for each negative experience.